Already in the 15th century, diamonds, although only available for a few, was especially fond of each other as the jewel of commitment, was recognized as the ultimate symbol, due to its unique properties, especially its ability to withstand the forces destructive. In 1477, one of the first accounts recorded by the use of diamond was found in a compromise. 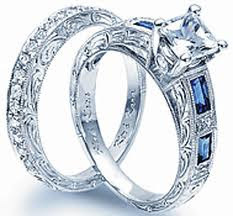 Eager to please his future father in law, the Archduke Maximilian of Austria proposed to Mary of Burgundy, with attention to the words of a trusted advisor who wrote: "In the betrothal of his grace should have a ring with a diamond a gold ring. " Maximilian married his beloved Mary, within 24 hours of the betrothal ceremony. Thus began a tradition that has lasted centuries. At the time of Mary and Maximilian, goldsmiths often used thin, flat pieces of diamond called "hohback diamonds that had" split "(division) of a natural diamond crystal.